This is the first message in a two-message series. Podcast: Why Live For God? Podcast: Our Universe: Mishap or Miracle? Our Universe: Mishap or Miracle? 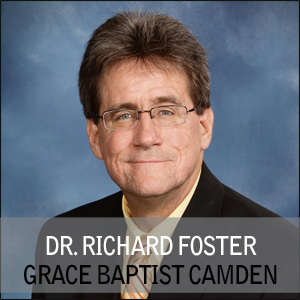 Step through the beginning of Genesis with Dr. Richard Foster as he discusses why the physical and spiritual realms make sense. Audio note: The audio at the beginning of this podcast is rather quiet. Please be patient as the astronauts read the beginning of Genesis from their Apollo mission.